When Public Defender Rian Coulter moved to Pensacola, Florida from Birmingham, she thought she’d escaped the specter of a vicious serial killer preying on young women. A killer that was never caught. Now, police are discovering new victims. All young women, all brutally savaged, all with their hands and feet bound together behind them. Unaware that the horror has followed her to her new home, Rian juggles her caseload and her family life. But when the car of the latest victim appears in her reserved parking space, she is dragged into the spotlight and must confront the truth: it’s personal. As Rian desperately tries to uncover the identity of the killer, she is hounded by law enforcement, the media, and a powerful political party. She must walk the line between her duties to her community and her profession, knowing that by choosing one, she’ll betray the other. “Don’t start reading if you have somewhere to be in the next few hours! 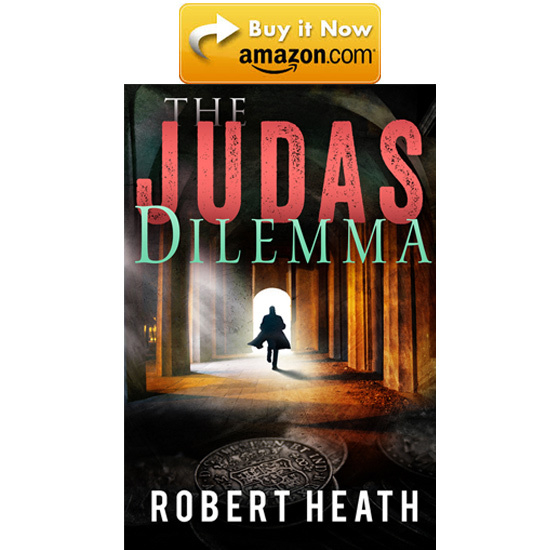 I highly recommend The Judas Dilemma. It will be interesting to see what the future holds for Rian Coulter!” – David S.
“A nail-biter from the very start . . .” – DLB Jr.
“This book kept my attention. I have already recommended it to many friends. I anxiously await Mr. Heath’s next book.” – John B.